Search engine optimization (SEO) is a long-term business marketing strategy. It is available to entrepreneurs who wish to increase their online presence on major SERPs. Why entrepreneurs prefer to hire SEO agencies? Suppose, your website has all the required features. But still, it does not appear on the first search engine result page. It is scary that your potential customers would not be able to find you over there. They don’t even know your existence on the web. You will definitely try to increase your brand awareness among users by implementing proven SEO tactics. But, what if you lack the expertise and time to improve the site’s online presence? Now, it makes sense to outsource SEO services from an expert or a trusted SEO company.A renowned SEO company will get you a variety of success paths. It also redirects business to get high ranking on Google page. The process of hiring an agency starts here! But, what will you do to hire a reputed SEO agency?See, it’s not difficult to find SEO companies in India. Rather, it is hard to believe on any company which claims to deliver favorable SEO results. So, it’s crucial to choose a company or expert carefully. We have accumulated some of the crucial questions that need to be asked while outsourcing your prospective SEO company or professional. The questions will guide you throughout the process and help you make the right choice for the best. What’s your methodology to improve a site’s rankings? It is true that to attain consistent SEO results, you need to prepare the best SEO strategy. Suppose, if you plan to execute SEO based strategy on some randomly picked keywords. You may get positive results in some limited areas. It is not sure that you may not get consistency in your site’s traffic growth. So, before choosing a good SEO expert or company, figure out the strategy they use to execute SEO process.You can straightforwardly ask them about from where they will get good links for the website? This will exhibit their positive approach and dedication towards the work. How do I come to know the changes you made in my website? Outsource SEO services from a good company will probably provide you regular SEO reports. You may also demand detailed weekly updates. Most commonly, clients ask to share monthly reports with all the changes, updates and site’s ranking analysis. It’s your call, what do you want in your case? To make changes, you need to give your selected SEO company the access to website’s information. We know that it’s not easy to handover website’s confidential information in someone’s hand. Don’t worry, you can mitigate the risks by making the certain changes under your in-house team. This may slow down the process. It can be handled if a seamless line of communication is established between you and the selected SEO company. Can you show me the list of successfully delivered projects? Hiring an SEO agency is like choosing any other company to get the project done. You have to cautiously analyze the work portfolio, testimonials, case studies and past clients’ references. Here, you can expect your prospective SEO company to open entire book in front of you. It may include the successful examples of their delivered projects. You can also explore the true feedback their clients given them for the good work. If the expert or company is genuine, they will not hesitate to show you each information calmly. In case, if the company persuades you towards other aspects, you should walk from there. They may not be the true partner for your business. Apart from this, you can also put a question regarding their longest and currently active clients. It is easy for someone to say that he/she has spent many years in the SEO industry. The major thing is to ask about something he/she has earned as a reward in these years. Don’t fall for the companies or SEO experts who claim to possess years of experience in the SEO industry. But, go with the one who not only claims but also give your project a true value. Counting on their experiences is good, but you should also ask something else about their true knowledge they have earned throughout the years. Do you properly follow the search engines’ webmaster guidelines? You must be looking for such company which abides by Google updates and the best webmasters practices. When the rules are being followed, these prohibit some major SEO activities like adding vague text to the pages and including automatically generated spam content. This assists a website not to be forcefully relegated due to low search results. Therefore, ask your selected SEO company that are they following Google’s guidelines for SEO execution? Besides the mentioned ones, there are many other regulations that Google suggest to follow to get higher ranking. You can tell your SEO partner to keep pace with them as well. What tools do you use to execute SEO best practices? There is a myth about SEO. Many times, we have heard that SEOs who use different tools for SEO execution are commonly blackhat SEOs. But, they don’t know that SEO tools comprise a variety of SEO applications that allow someone to process tons of information within minutes. This further saves money and effort someone puts to get quality work done. This is a good question to ask your future SEO partner that what tools they often use to accomplish the task. You may also have a look at their list of tools they prefer to analyze the site and prepare report sheets. What is the guarantee that my website will achieve the number-one position on major search engines? This is the proven way to weed out the best SEO expert from the list of fake SEO agents. You will see that if a company only aims at generating sales, it claims to get your brand keywords on number-one position. Everyone knows that it’s not possible to compete in this fierce competition and ranked in top position. It requires time and so much effort.s thus, anyone can’t guarantee to take your brand to the top. But yes! A genuine SEO agency will suggest you to wait and see the favorable results after some time. So, be positive and handover website in someone’s hands who comprehends it more than you do. What measures make you understand the SEO campaign’s success? Every SEO expert adopts various tactics to track the success of SEO campaigns. To gauge the success of their SEO campaigns, they especially analyze the web traffic to be sent. Also, they monitor the specific region where it is coming from. The fact you should remember is that the SEO company must have that specialization to handle Google Analytics. It is mandatory to calculate the growth and improvement of particular site. The tool also describes every aspect of a website like the number of good links and top searched keywords. This is the way a good SEO firm measures a campaign’s success. If your company follows the same approach, you can join hands with that. How often will you communicate with us to share the report? There are many SEO companies that adopt different communication styles to get connected with the clients. Their communication methods and standards vary from each other. Most often, the ways companies prefer to communicate include conversation over the call, via Skype, live chat or through emails. You may place your suitable way of communication. After selecting the conversation channel, your next question should be regarding the time to communicate with experts. It is crucial, as you would have been curious to know the growth and improvement of your business website. Regular communication with your SEO partners reduces the chances to miss anything related to the website’s improvement. Thus, it is your duty to keep pace with every detail by making strong connections with your prospective SEO agency. Do you keep pace with the latest Google’s algorithms updates? Google yearly releases algorithms and updates which indicate that SEOs must adopt these changes in their routine. We are not saying that all are relevant to implement. But, there are few that are mandatory to keep pace with. Many SEO experts follow the Google’s algorithms whereas some are not. You should ask the company about specific algorithms that are needed to improve site’s ranking. If they answer it well, you are allowed to make deal with them. Apart from this, you can also monitor that the selected company should stay up to date with all the current SEO news. In short, the SEO agency or expert should be active in forums and SEO communities. Basically, it takes weeks or months to analyze a website’s deadlocks. This again describes that SEO is a long-term process and requires in-depth examination. 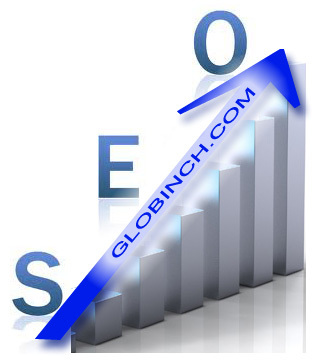 Therefore, it demands experts’ guidance to accomplish SEO activities with care. To clear all your doubts, we have put together many questions. You can take get an idea through these and make your journey of hiring reliable SEO company easy. Tom HardyTom Hardy has hands on experience as a SEO Expert. He currently works at Sparx IT Solutions: SEO Services Company and offers exceptional SEO auditing services to the global clientele. Also, he writes informative blogs and articles on varied SEO related subjects and helps readers know the best tips how to optimize a website over the web using SEO tools and techniques. SEO is still better option to promote website in search engine although search engines like google has changed the formula of web promotions and it is much different to the old methods. If you follow google guidelines obliviously you will achieved good ranking in search engine.need no tool to execute any SEO process.